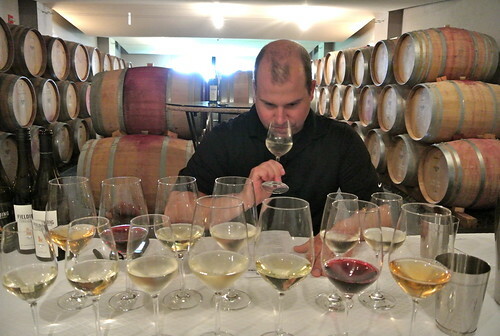 It took a fact-finding mission to Alsace, France, for Fielding winemaker Richie Roberts to realize the Beamsville Bench winery is doing a lot of things right with its aromatic white-wine dominant portfolio. 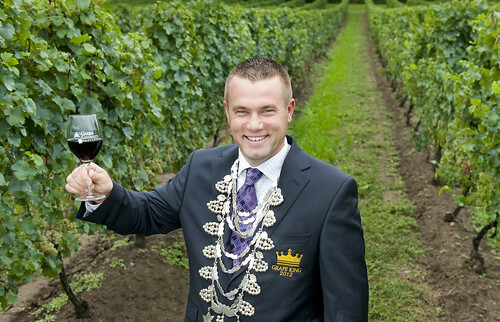 Roberts, who has shaped Fielding into one of Niagara’s top producers of Pinot Gris, Riesling and Viognier, has always had a lot of respect for the way the Alsatians go about their business creating white wines with substance and personality and setting it apart from the rest of the world with the varieties it chooses to champion. A trip there earlier this year showed him “that we are doing a lot of things right” in Niagara. 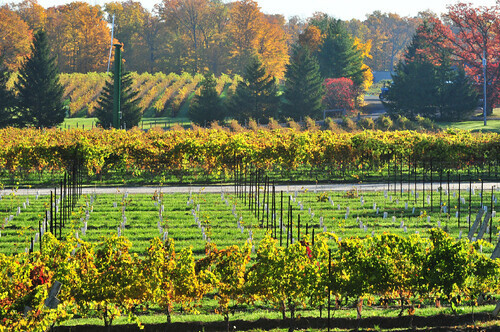 The main factor for Roberts and proprietor Curtis Fielding was finding the right varieties to plant in their vineyards. That came by trial and error (and a lot of replanting) but they feel they have the right grapes in the right places, especially in the home vineyard that surrounds its lofty perch on the Beamsville Bench. 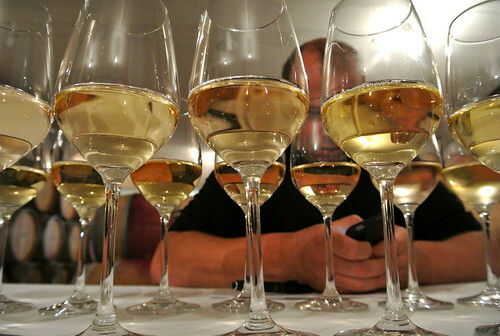 It just so happens that Pinot Gris and Riesling (and Roberts hopes, Chardonnay) have come to define a good portion of the production. While Roberts went to Alsace to learn more about Riesling, it was Pinot Gris, and a long four-hour tasting and heart-felt chat with Alsace stalwart Pierre Trimbach, which left a lasting impression. Roberts makes what I consider the be the top Pinot Gris in Niagara, the single-vineyard Rock Pile (grown at the winery’s Tufford Road property in the Lincoln-Lakeshore appellation), and it continues to evolve in the Alsace style — wonderful texture, purity of fruit and built to improve over time. Some of the tweaks Trimbach suggested were pushing the harvest further along for better extraction, and sulpher additions to help the wine age and develop in the bottle for longer periods of time to fully integrate the fruit and bring out those lovely tertiary flavours that benefit Pinot Gris. Roberts feels we drink our whites such as Pinot Gris and Riesling far too young and demonstrated that by showing me a vertical of the Rock Pile back to 2009. The oldest wine was killer with broader, rounder fruit flavours and a gorgeous nutty-smoky-spicy note that only comes from age. Fielding made the decision a year ago to start farming its vineyards organically and is on a path for certification but hasn’t made a final decision to officially certify (it takes three years of farming to an approved set of rules to get certification). It’s a bold move, especially in a year such as the one unfolding in Niagara where high humidity and rain sets the stage for critical disease in the vineyard. While the aromatic whites form the foundation for the Fielding portfolio, Roberts also makes some fine reds including (but not restricted to) Cabernet Franc, Gamay and blends. The winery has found a nice balance and cadence for what it wants to do. It has a cottage-country feel to it and the wines reflect that from the tasting profile to the labels. 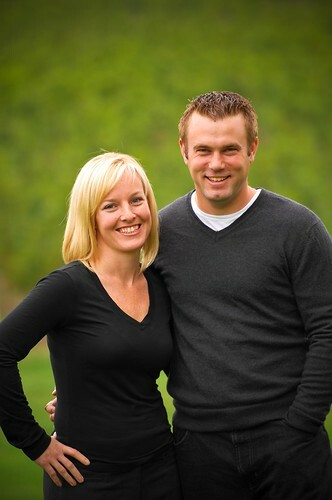 The success of Fielding has allowed Curtis and Heidi Fielding (left) to pull back a bit and enjoy life a bit more. 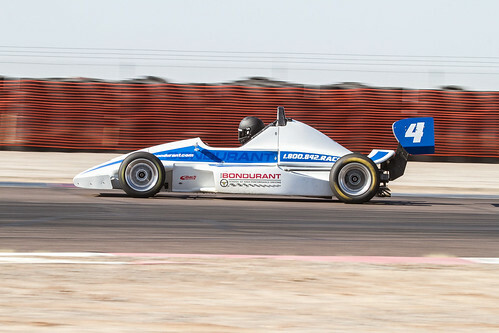 Curtis, who gave up his love of car racing 12 years ago to launch a successful viticulture career, is getting back on the circuit. The 2012 “Grape King” has teamed up with Kerry Micks of Micks Motorsports and Mark Dilley, and has secured a ride in the NASCAR Canadian Tire Series race at Canadian Tire Motorsports Park in Clarington, Ont., on Sept. 1. He is hoping to expand his 2014 schedule to include more NASCAR Canadian Tire series races and possibly other races in the U.S and Canada. Fielding has been racing in some form or another since he was 18 when he was racing snowmobiles near his hometown of Minden, Ont. He was a regular on the Ontario Legends Series in his early 20s. 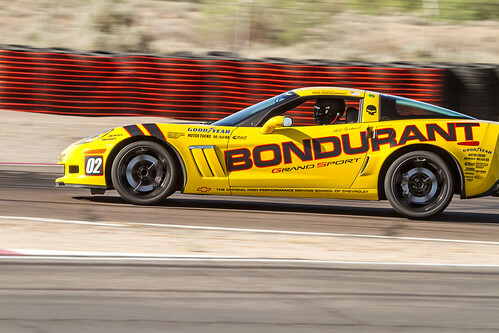 By 23 he was racing in the former CASCAR Sportsman Series before getting out from behind the wheel and concentrating on raising a family and building a business. It was around that time his family bought a farm near Beamsville and planted the first vines. 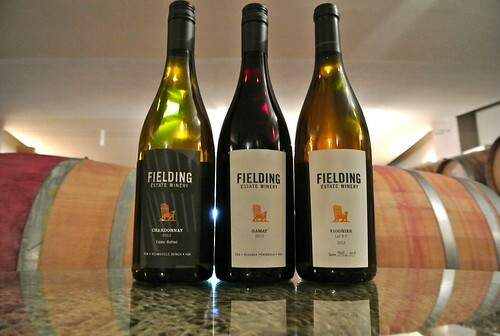 In 2005 Fielding Estate Winery opened its doors to the public and released its first vintage. “I always give 100% and wanted to put my time and effort into the farm and business,” Fielding says. 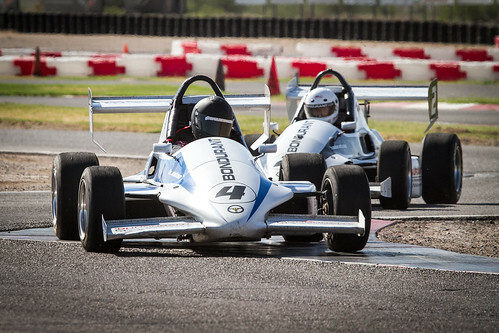 “But we have built it well and have the right people in the right places that the time is right to give racing another go. 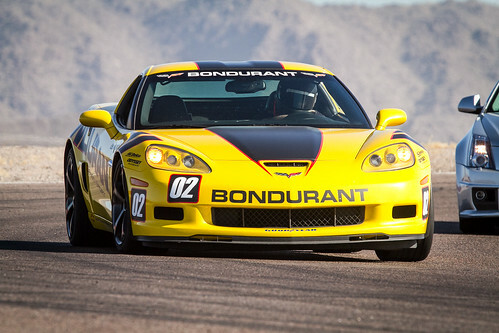 All racecar photos by John Dowd. In the NASCAR Canadian Tire Series race at Canadian Tire Motorsport Park, Fielding will be running the 09 Ford Fusion stock car. The NASCAR Canadian Tire Series is Canada’s premier race series and only national championship, with races this season in British Columbia, Nova Scotia, Ontario, Quebec and Saskatchewan and national television coverage on TSN, TSN2, RDS and RDS2. Curtis will be racing in the second-last event on the 2013 NASCAR Canadian Tire Series calendar, an event that will also include a NASCAR Camping World Truck Series race. Meanwhile, Roberts will continue to perfect the Fielding portfolio whether it’s aromatic whites or substantive and bold red wines. During a recent tasting of the new wines and some aged versions of those wines, Roberts poured what can only be described as enigmatic and made for the total wine geek. It was a Viognier crafted in the “orange wine” style with full-out fermentation on the skins. 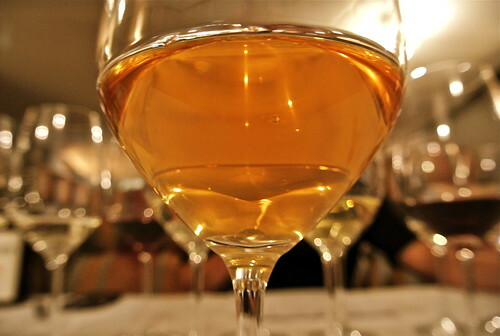 The white wine, called Viognier S-F (meaning skin fermented) 2012 was made like a red wine resulting in higher extraction and alcohol as well as a copper-orange colour. It’s a non-VQA experimental wine that will only be available at the winery with a price to be determined. 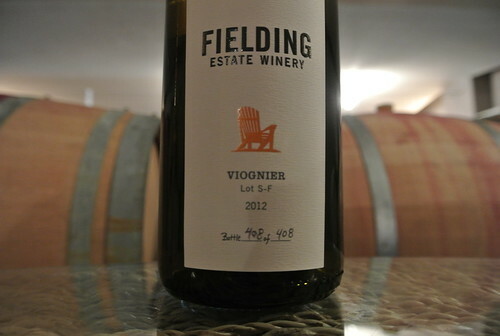 The Viognier spent 15 days on the skins, was barrel fermented with wild yeast and bottled unfined and unfiltered. To say this is different is an understatement. The nose is rife with citrus rind, tangerine, dried herbs and a range of spices. It is a bit of a shock on the palate with evident tannins that mess with your head along with savoury spices, chai tea, peach pith, lemon curd and dried citrus peel. It’s like marmalade on steroids. Roberts didn’t go whole hog into orange winemaking; this is not oxidized as some of the more extreme examples are, and he used sulphur to ensure some longevity and preservation. For the wine geek, this is a wine best tasted and discussed in a group. Opinions are bound to vary. Here are some of my favourite wines from my tasting with Roberts. 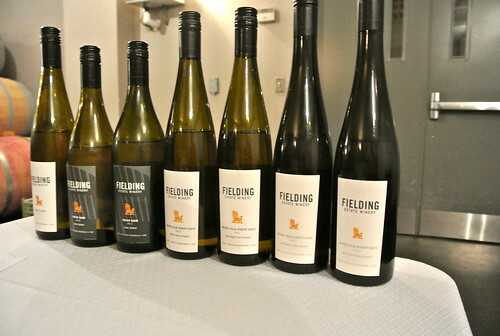 Fielding Estate Pinot Gris 2011 ($19, winery, LCBO, 88 points) — This is one of three PGs in the family and is a blend of vineyard sites from around Niagara. All of Fielding’s Gris is made with about 10-12 g/l of residual sugar. This shows apple, melon and a pinch of spice on the nose. The palate reveals orchard fruits, good vibrancy and freshness through the finish. Fielding Estate Bottled Pinot Gris 2012 ($22, September release, Vintages in October, 90 points) — The fruit is sourced from the winery’s Tufford Road property and from the newer (eight years and up) vines. 20% of the fruit is fermented in older oak barrels. There is a lovely spiced apple note on the nose, with more fruit concentration, pear, ginger and nutmeg. It’s juicy and textually pleasing in the mouth with pear, apple, peach fuzz and just a touch of citrus on the finish. Fielding Estate Rock Pile Pinot Gris 2012 ($26, winery only, 92 points) — The Rock Pile Gris is at the top of the class for Robert’s aromatic white wine program. The fruit comes the Tufford Road property from older vines planted in 1987. The fruit is the late picked and sees up to 24 hours of skin contact and 80% of it is fermented in older oak barrels. The nose shows creamy pear, apple crisp, melon and an array of expressive spices that all jump from the glass. It has viscosity on the palate and broad-ripe fruit flavours that are joined by delicious spices. 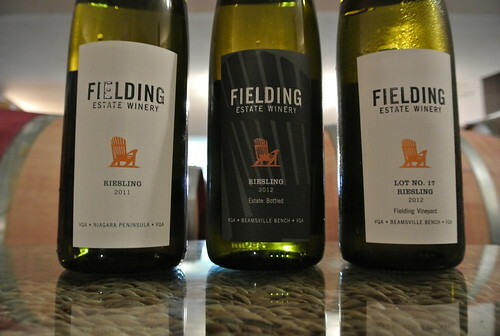 Fielding Estate Bottled Riesling 2012 ($19, released in September at the winery and vintages, 90 points) — From the home Fielding Vineyard surrounding the winery, this has an expressive nose of ripe apple, citrus, white peach, lemon-lime and minerals. The fruit is succulent on the palate but balanced by a healthy dose of acidity that hides the 30 g/l of RS. You can lay this down to further develop the mineral core. Fielding Estate Chardonnay Unoaked 2012 ($15, winery, Vintages in October, 87 points) — A pretty simple yet delicious Chardonnay with apple, lime and grapefruit aromas. It’s ripe and fruity on the palate with a touch of flint and decent freshening acidity. 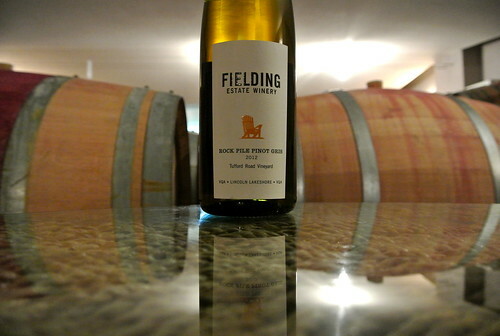 Fielding Estate Bottled Chardonnay 2012 ($22, October release at the winery, Vintages in September, 89 points) — A fragrant nose of peach, tropical fruit, apple, vanilla spice and poached pear notes. It’s creamy, not buttery, on the palate with ripe fruits and lovely spices that finish completely dry. Fielding Estate Gamay 2012 ($18, August release, winery only, 88 points) — Only the second Gamay from Fielding as it joins a growing list of Niagara wineries making this wonderful variety. Love the nose of blueberry, raspberry, smoke, spice and plums. It’s delicious on the palate with ripe fruits and mild spices that’s juicy and not too complicated. Great sipping wine. And a few picks from the rather large Niagara wine release at Vintages this Saturday. Tawse Estate Laundry Vineyard Cabernet Franc 2010 ($32, 92 points) — I have shouted from the rooftops already about Cabernet Franc from the 2010 vintage, and I will say it again here: This is a benchmark year for this superstar grape in Ontario. The Laundry Vineyard CF shows pure fruit aromas of black currants, blueberry, black cherries and underlying pepper, herbs and tobacco leaf. It’s beautifully balanced and supple on the palate with savoury dark berries, ripe tannins, peppercorns and spice. Can drink now or hold for five years. Featherstone Cabernet Franc 2011 ($17, 88 points) — Winemaker David Johnson has a real love affair with this variety. He believes his 2010 version “was the best wine I’ve ever made.” It was a beauty and hard to live up to especially in an uneven vintage like 2011. This is made with 100% new American oak. It shows sweet cherry, dried herbs, raspberry and spice on the nose. It’s a pleasurable Cab Franc, perhaps lacking the depth of 2010, but still some nice red fruits, smoky notes, licorice, herbs and evident tannins. Kacaba Rebecca Rose 2012 ($15, 88 points) — I love the bright salmon pink colour in this Cabernet Franc rose. The nose highlights raspberries, watermelon, cherries and a squeeze of citrus fruits. It’s bright and perky on the palate with lovely integrated red fruits delivered in a near-dry style. A great summer sipper.